Adwoa Aboah can’t seem to catch a break lately, with our forum members regularly calling out her modeling capabilities. She failed to win us over on Allure‘s current cover and not even Karl Lagerfeld managed to deliver the goods when she became the face of Chanel Eyewear. 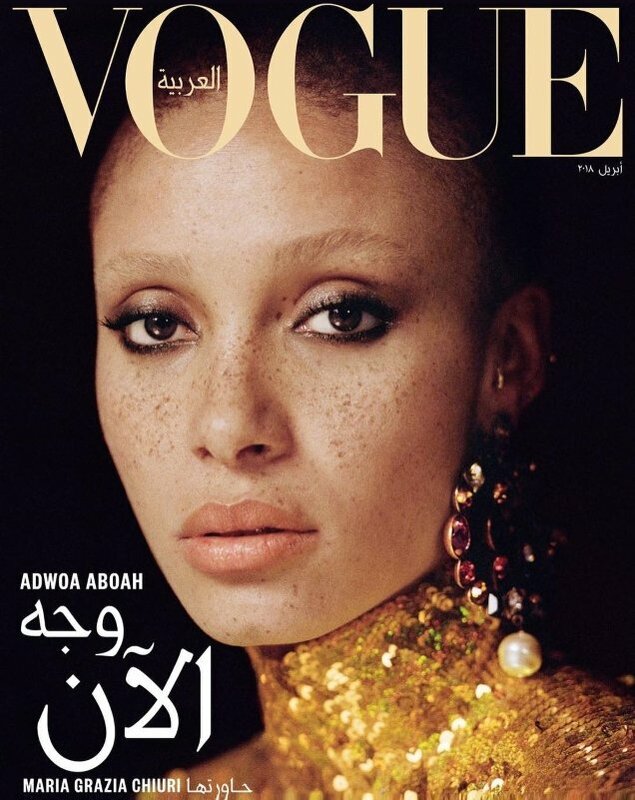 Now covering Vogue Arabia’s April issue, Adwoa had some pretty big shoes to fill after last month’s instantly iconic Iman and Imaan Hammam covers. 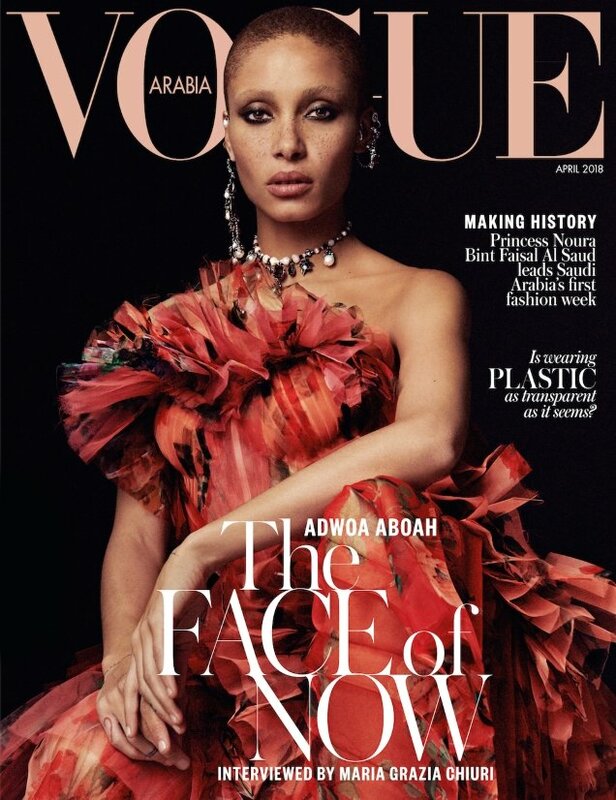 Photographed by Cass Bird, cover one (below) features the 25-year-old Revlon brand ambassador against a black background wearing an Alexander McQueen creation while cover two (after the jump) is a closeup of Adwoa in sequined Gucci. Needless to say, our forums weren’t into Arabian Vogue‘s latest. “The (bored) face of now,” complained helmutnotdead the moment the cover dropped. “They actually had one of the best Vogue covers last month with Iman and Imaan, to this saddest cover. Adwoa interviewed by Maria Grazia? No thank you,” added Ed. “I’m tired of her by now, I don’t want to see her everywhere all the time. Plus this looks a little tame for Cass Bird, I love her but I do not think she fits what VA is usually like. It’s a very random combination,” KateTheGreatest described. “Seems like she can’t do another face. Terrible model,” zacatecas570 slammed. “I don’t get the Adwoa hype and I’ll never get it. She’s just another nepotism model. The only thing that makes her stand out from the rest is her ‘edginess’. She makes the same expression and is styled the same way almost 90% of the time,” voiced gunsnroses. Which cover do you prefer — if any? Add your own two cents here.